Whenever a new wave of immigrants arrives in the United States, they and their kids must find their identity somewhere in the space between their old country and their new one. It’s an age-old process, and one which my own immigrant grandparents and parents had to undergo. Growing up in a household in which my parents still spoke their parents’ mother tongue, Yiddish, I had plenty of opportunity to observe the effects of growing up in the melting pot. Over time, I came to understand a peculiar thing about the struggle every immigrant must face. For four hundred years, immigrants have been trying to find their new culture by stripping away their old one. So does that make us a nation of 100 cultures, or none at all? It is the question implied every time we try to sort out our own heritage, or wonder about a new neighbor or coworker with a different accent. Understanding how this Melting Pot works could be the subject of an advanced degree in Cultural Anthropology. But thanks to the Memoir Revolution, all of us have easy access to a charming tool that entertains while it educates. We can all become amateur cultural anthropologists by reading memoirs. Memoirs take us through the entire process of blending as seen through the eyes of a variety of participants. Take for example, Albert Nasib Badre. 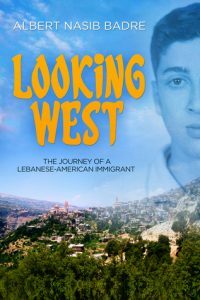 His memoir Looking West describes his move from Beirut, Lebanon to the United States. As a boy in Beirut, he venerated all things American. And so, when his professor father said they were moving to the United States, the little boy was ecstatic. Perhaps his fearlessness about blending was helped by his own family folk lore. According to legend, his Middle Eastern ancestors acquired their blue eyes from crusaders who swept through Lebanon almost a thousand years earlier. Despite his enthusiasm for blending, he had to undergo many of the difficult tasks that all immigrants must face when trying to find themselves in their host country. Probably the hardest thing about moving to the new country for Badre was losing his close knit set of friends and extended family. Badre grew up in Beirut before the civil war tore the city apart. As a child he walked out of his home, and could visit or greet cousins and friends. His community connections were so deep and rich, they make American social interactions look more like the wild west than a civilized country. When he arrived here, his social relations fell to a tiny fraction of what they had been. Badre’s memoir does not dwell on the difficulties of immigration though. He dives into the complex task of growing up and becoming an individual in a society which prizes self-determination. The search for a suitable career. One of the requirements for growing up is to figure out what you are going to do for a living. For some of us, this search for a calling can feel mundane, and not contain much interesting dramatic tension. For others, the search can be so sublime it could fill a whole book. Badre’s search is closer to the latter. His search for a career was propelled by a combination of serendipity, mentoring, trial and error, and a deep desire to serve higher principles. Despite his father’s relentless advice to be practical, he continued to pursue idealistic educational goals. Those were the days of a true liberal arts education and so, he followed his heart, studying mostly theology and philosophy. When it came time to earn a paycheck, though, his father’s advice made more sense. After a failed attempt to become a social worker, he went back to school and ended up with one of the most sophisticated careers available. In the early days of computer technology, he latched on to the emerging field of human-computer interaction, and became a leading expert in the field. His journey to find a mate was also intricate and exquisitely told, complete with old fashioned courtship, failed attempts, and impulsive choices. And his attempt to sort out his preference for Protestantism versus Catholicism reads like a theological thriller. I can’t think of another memoir that so deeply engages me in the author’s search for intellectual, theological, and career self-development. He set out as a child absolutely determined to live in an integrated way, true to his own beliefs. And through the course of his story, he succeeded. Al Badre’s story, like all memoirs, is a blend of the universal and the particular. It has the familiar elements of a boy struggling to come of age, trying to figure out a mate, a job, and a belief system. He seems to have been born for the challenge of finding himself. In a complex dance between old customs and new, he looks to his parents for guidance about finding his career, his marriage, and even his belief system. Then in a gesture toward the independence of his adopted country, he takes their advice into account and then sets out to find his own truths. Using the essence of American Independence and seeing the Melting Pot as the ultimate license to explore the best version of himself, he selects from the vast menu of choices, tries out more than most of us have the patience to explore, and then gradually through hard effort, becoming a self-actualized citizen of modern times. Early in the 2000s, when I became interested in writing my own memoir, I realized that I needed to read a few. That simple intention quickly expanded, once I realized that reading memoirs is a window into the souls of my fellow travelers. Over the years, I have accompanied many people, sometimes through hell, and always up mountains, attempting to climb to higher versions of themselves. In every case, when the hero achieved the mission, the resulting satisfaction transcended the ordinary circumstances of life. What started as a project to make sense of myself has led me increasingly into a deeper understanding of the people around me. Memoirs offer a combined education in sociology, psychology, anthropology, feminism, and even spirituality. Al Badre’s story describes far more than one man’s move from Beirut to the United States. The memoir represents a new way for all of us to find the best in ourselves and to see the best in each other. By reading such stories, we come to understand that the guy or gal with a different accent, skin color, or religion has a thought process, grows through life stages, worries about couples and kids and copes with losses just like us. And as each of us tries to make sense of differences, we are also on a quest to understand what we share. The Memoir Revolution lets us join together to become better citizens of modernity, and also to extend a welcoming hand to those who are ready to join us in the brave world of modern, blended culture. Carlos Eire’s move to the United States was far more problematic than Al Badre’s. In Eire’s first memoir Waiting for Snow in Havana, he grew up privileged and wealthy in Cuba, with a Spanish ancestry that put his family in a ruling class. But to escape Castro, Carlos was shipped to the United States. Without money or even parents, Eire’s second memoir Learning to Die in Miami, portrays the hardships of life in the new country. An even more radical example is Ayaan Hirsi Ali. She moved to the melting pot in Europe from her tribal culture of Somalia, where it is still considered normal to arrange marriages for teenage girls and to perform female genital mutilation. Ayaan Hirsi Alli in her memoir Infidel at first looked at Western Culture as a safe haven to escape from the harsh treatment of women in her native land. Gradually she grew to respect, and then to embrace, and then to love Western culture. She sought an education in political science and became outspoken advocate for the modernization of her former homeland. Her memoir is a fascinating look at Western culture as seen through an African Muslim lens. A light-hearted ride through the Melting Pot is provided by the Iranian American author Firoozeh Dumas’ memoir Funny in Farsi, about growing up in a family who had emigrated from Iran and had to find their new blended identity in California. The memoir Freedom Writers Diary is about a class of high school students trying to identify themselves in warring tribes based on their ethnic origins. Through literature and journaling, teacher Erin Gruwell showed them how to see themselves not as “the Other” but as equals. By the end,, they were able to shed their sense of separateness and danger. It is the perfect Melting Pot story. A young man in the 60s went off to the jungles of Southeast Asia, not to face enemies with machine guns but to confront that transition all of us must face – the voyage from childhood to adult. As Neill McKee fulfilled his mission for the CUSO, the Canadian version of the Peace Corps, he had to teach the local school kids. On weekends he traveled with his buddy Peter, to immerse himself in the nature and culture of the region. 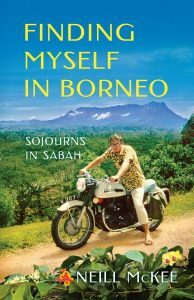 In his memoir, Finding Myself in Borneo, McKee generously offers a front row seat to his adventure in an interesting part of the world. But I want more from a memoir than just exotic sights. I expect to learn about the author’s inner journey as well. McKee’s memoir satisfies that desire by showing me how his adventure in Borneo helped him launch from child to adult. The Memoir Revolution has provided a literary genre through which we can explore this fascinating life transition. By reading memoirs like Neill McKee’s, we discover the infinite variety of ways people acquire the prerequisites of adulthood, such as finding a relationship, a way to earn a living, a set of beliefs, and a place to call home. In addition to the usual hassles of growing up, Neill McKee adds another dimension. He complicates everything by going forth into a foreign land. And yet, his impulse to leave home has a remarkably familiar ring. Traveling in order to find one’s deeper truths is at the heart of Joseph Campbell’s universal myth, the Hero’s Journey. In Homer’s Odyssey, one of the earliest and most famous stories in Western civilization, Ulysses traveled around the Mediterranean in an attempt to find his true home. Unlike the Odyssey, McKee’s journey does not involve magic and monsters. But the young man was so smitten with epic heroes that he decided the island of Borneo was the model for Mordor, the land of evil in JRR Tolkien’s The Lord of the Rings. Even though he saw himself in the land of Mordor, McKee was not on a quest to defeat evil. His mission was to travel beyond his own youthful impulses and mature into adult life. Another memoir demonstrates that traveling to search for a wiser version of yourself can continue in later life. When Janet Givens crossed the threshold from the first half century to the second, she and her husband joined the Peace Corps. They were looking to energize their entry into this new chapter of their lives. The caricature of midlife crisis is a middle-aged guy in a red convertible sports car having an affair. Memoirs transcend caricatures. Instead they describe unique characters who question the trajectory of their lives and look for creative ways to re-calibrate. 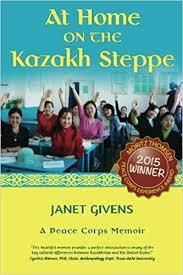 In her memoir At Home on the Kazakh Steppe, Janet Givens turns to foreign service as the tool with which to reinvent herself. Following in the footsteps of classic heroes, she trades her comfortable home in the US for a tiny room among people, most of whom speak a language she couldn’t understand. If you have ever traveled to, or lived in an exotic location, one obvious way to entertain readers is to show them the sights. However, memoir readers want to know about the psychological dimensions of the hero’s inner world. So be prepared to show them how your exotic outer world changed you forever. Whether you were invited into a parlor for a ritual cup of tea, or tried to bargain with a local vendor, or any of a thousand other small glimpses into every day life, your memoir provides a feel for the psychological and social dynamics of a place. You become homegrown, amateur version of a cultural anthropologist. During your transition from an earlier version of yourself to the present one, did you find some of your truths in faraway lands? If so, write a scene that intrigued you, disrupted some preconception, showed you new sides of yourself, or in some other way altered your beliefs about your identity and your place in the world. In the universal myth of the Hero’s Journey, the main character goes out into the land of the adventure, grows through hardship and longing, and finally achieves a goal. Ignorance is replaced by wisdom. Anger by forgiveness. Confusion by clear vision. But even after scaling the moral mountain, the story is not complete until the hero returns home to teach these lessons to the community. The effort to bring wisdom back to the community is exquisitely illustrated by both Neill McKee in Finding Myself in Borneo and by Janet Givens in At Home on the Kazakh Steppe. Both the Peace Corps, and its Canadian cousin, the CUSO, encourage participants to return after their service to share insights with fellow country men and women. Both McKee and Givens took this part of their assignment seriously, logging in the many hours required to compose a memoir. By letting us vicariously accompany them, the authors give all of us the opportunity to see ourselves in intimate connection with the Other, thus providing us with an ever deeper empathy for the global citizenship of planet earth. When Firoozeh Dumas in Funny in Farsi, or Carlos Eire in Learning to Die in Miami immigrated to the United States, they had to adjust to culture in this country as a foreign land. Their “foreign travel” memoirs provide an eye-opening perspective on the hall of mirrors that is created when one looks at one’s self as the Other. Write a scene about stumbling into some patch of culture out of your ordinary experience that forced you to find new attitudes, or different parts of yourself. After years of working on her story as a memoir, Wendy Baez switched to fiction. 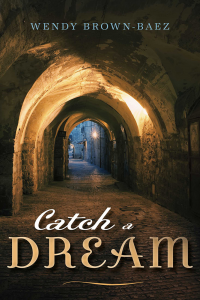 In my previous article, [click here to read it], I commented on my own observations about the impact of her novel Catch a Dream. In today’s post, I share our conversation in which she explores insights, techniques, and recollections. Her perspectives are especially informative because she is also a writing teacher and coach. Jerry Waxler: Catch a Dream describes such an intense experience. It surprises me that most of it really happened and that you started writing it as a memoir. Wow. Tell me more about the events that you actually lived through. Wendy Brown Baez: The experience of being in Israel was incredibly profound and a story I was compelled to write. I arrived there as part of a Christian commune. After ten years of living together, we broke up in Israel. I had to de-program myself from group-think. Was it okay to be feminine? Was it okay to put my son in school? I hadn’t worked for ten years—we took in the homeless and lived on donations. It was a very emotional time of betrayal and disappointment. I was very idealistic and naïve and Israel brought me down to earth. The awakening I experienced was extraordinary and it happened in an extraordinary place. Jerry Waxler: So if it was a story you knew you wanted to tell, why didn’t you ultimately publish it as a memoir? Wendy Brown Baez: I spent years trying to write it as a memoir, but I kept struggling to get it right. One problem with the memoir is that I had already fudged some of the story, a touch of fiction in some scenes. For example my character’s first meeting with Levi is a composite of my memory and someone else’s. Another problem was the complexity of my backstory. Living in a Christian commune seemed too complicated.. My backstory also included my being kidnapped and raped ten years earlier. I wanted the book just to be about my journey through Israel and I couldn’t figure out how to make it a memoir while stripping away all these extra storylines. Jerry Waxler: What happened that switched you from memoir-writing mode to fiction writing mode? Wendy Brown Baez: I attended the Bookbaby Independent Author’s Conference last year and left knowing I was going to publish with them. I have a stack of manuscripts so I had to make a choice. One day I thought to myself what if I changed Catch a Dream to a novel? The names Lily Ambrosia and Rainbow Dove popped into my head. I immediately had a visual of these two young women and it just felt right. By changing it to fiction, I could remove all the backstory. This meant the story was less focused on reflecting on my experience and more focused on taking the reader on a journey. It meant I could make things up! It was very freeing to let go of the backstory. I then had to add the backstory of what had motivated Lily and Rainbow to be on the road. I enhanced Lily’s sense of rootlessness. The descriptions remain the same and the pivotal scenes remain the same. Many of the conversations are recorded as they happened (in particular with Levi, Jonah, and Asher, and between Dov and Asher). I did fall in love with a man who was very mysterious and who rejected me because I asked him to slow down, based on group advice. I made up the conversations between Lily and Rainbow and embellished their personalities. I took out mental meanderings and journal entries. Jerry Waxler: When you say “group advice”, I’m trying to visualize a group that could advise you on the specialized skill of translating real life experience into a novel. How did you manage to find such a group? Wendy Brown Baez: This wasn’t a formal group, just people I asked to read my work. Some are writers, some not, but I worked with a professional editor on the longer memoir and it was quite a struggle. I had to explain everything as she had never had a ’60s experience of living freely and hitch-hiking and raising children together cooperatively. Another young writer friend said, I just don’t get why anyone would live that way. And yet, as soon as I changed the characters’ names and described what they were doing, people were nodding their heads and saying they could picture it. The beta readers I picked to read Catch a Dream never saw my earlier memoir writing, only the novel as it reached completion. Some knew me and my story and some did not, some are writers but mostly I chose people who like to read, and some with Jewish backgrounds. Readers who know me try to figure out who the characters are in real life and which parts were true and are a bit confused until I tell them it is fictionalized! Jerry Waxler: In Catch a Dream, you mention that you had been violently raped. This is such a profound, disruptive experience. I wonder how much of your journey in Israel was really a search for healing from that trauma. Jerry Waxler: I love some of your long paragraphs where Lily goes into amazing reveries. I’m not sure what to call them, “riffs” or “rants” or “internal soliloquys” – these are just so lovely and powerful, some of the coolest writing I’ve seen in a memoir. What can you tell me about that style of writing? Riff tends to mean short repetitions (in music), soliloquies are like talking to yourself: these are short monologues meant for an audience. I just wrote them because these things were on my mind, but I really don’t know what to call them. Inner reflections meant to be shared…. I was reading a lot of Anais Nin at the time I wrote those journals. 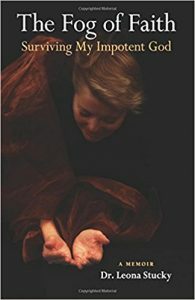 She wrote down everything that happened to her and her reactions, very detailed insights into a woman’s psyche and emotions, analyzing herself and others. In fact, I used to wonder how she got anything else done! She was married to two men at the same time, wrote erotica for money, and based her novels on her true life experiences. In a way, her entire diaries are riffs! Jerry Waxler: Would you have kept these lovely “riffs” if you had published it as a memoir? Wendy Brown Baez: I would have kept the riffs in the memoir but I did take some liberties with style, for example I switch to second person in the bar scene, that maybe wouldn’t work as well in memoir. I would say that the inner thoughts and emotional responses came from my direct experience and conversations and some scenes were fictionalized. As a writing instructor I believe that the more we know ourselves, become aware of our inner workings and reflect on our writing process, the better we can create characters that resonate emotionally with readers. I give my participants questions to ponder such as What are you afraid to write about? What do you want people to know about you? How can you view your actions differently? as a tool for self-discovery– I think that makes us better writers. So memoir and fiction blend in self-reflection. Jerry Waxler: What more can share about the experience of turning it from a memoir to a novel? Wendy Brown Baez: Because the story was originally written as memoir, people respond to it as if it is true. Readers after publication say, This sounds just like you! The line between memoir and fiction are blurred and I am hoping it’s a good thing! I have to gently remind them that Lily’s opinions and observations may be flawed. I do not want to be considered an expert on Israeli history or politics–I hope that a novel with a flawed main character will excuse me! I also knew that by keeping the memoir’s structure and pace, it was not a traditional novel. There is not a definitive cliff hanger or a resolution and that’s why the questions in the back are very important to me. I wanted to raise questions more than answer them. After I had the first copy in my hands I realized that it is my love letter to a country embroiled in conflict. For my article about the impact Catch a Dream had on me, and some of the life lessons and memoir lessons I drew from the novel, click here. In the memoir Ashes in the Ocean, Sebastian Slovin must find his own identity beneath the shadow of his father’s suicide. At first, the dramatic tension results from the reader’s empathy for a boy who suffers the ultimate abandonment and betrayal. Over the course of the book, the tension increases because the boy fears he is doomed to repeat his father’s self-destructive pattern. This fear sends him on an urgent chase to dig deeper into his father’s mind and then into his own. The book becomes a race with the clock. Will he find his truth before surrendering to the mad impulse to destroy himself? At first he runs faster and faster. Ironically, his manic attempt to stay out in front of the fear unwittingly recreates his father’s own desperate need to win. To his father, coming in second place is a humiliating defeat, and Sebastian follows in his footsteps. To save himself, Sebastian needs to back off. But emotionally, he seems incapable of going slower. He becomes famous (in certain circles) as a world class bodyboarder, (I didn’t even know there was such a thing). Then a yoga teacher. And most desperate of all, he seeks the goodness within himself in order to defeat the terrible fear of following his father into suicide. Many memoirs lead readers through the challenge of finding one’s own identity. Other memoirs require healing from a loss. 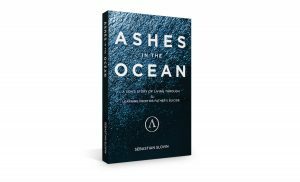 Ashes in the Ocean combines these two psychological goals. In order to clarify his own identity, the author must make peace with his father’s life and death. Sebastian anxiously interviews his father’s old friends, digs up old newspaper articles and letters. However, when emotional wounds cut this deep there is the danger that knowledge and research will only lead to an intellectual understanding, adding more dramatic tension to the search and resulting in a “dark night of the soul” resolution that allows these lessons to penetrate all the way to his heart. This is the essence of the Memoir Revolution. Through sharing our stories, we are normalizing the hard work of our inner journeys and giving others the tools to share their own. What mystery about your father (or mother) nags at you and makes you wonder how it affects some of your own quest to find yourself? How did this mystery (answers or lack of them) influence your self-image while you were trying to find your own identity? This deep need to make sense of one’s father (or one’s mother) in order to understand one’s self shows up again and again in memoirs. If you feel that your memoir writing journey is leading you toward this quest to make better sense of one or both parents, or you want to make better sense of people who have already written about that journey, here are some more examples. Drama by John Lithgow A famous actor traces the roots of his career back to his father’s influence. In the Shadow of Fame by Sue Erikson Bloland. Daughter of the famous psychologist, Erik Erikson saw him as a narcissist and a woefully inadequate father, in the grip of his own public image. The daughter of the great author trying to dig into his personal archives to get to know him better than in his impersonal presence. Who is my mother is also at the heart of many memoirs. One of the best is James McBride’s Color of Water: A Black Man’s Tribute to his White Mother, trying to make sense of his Jewish mother who would never permit anyone in her black family to acknowledge she was white. An adopted woman trying to approach and make peace with her biological mother. In almost every memoir writing class or group, one person says “I really want to write about a parent.” Early in my study of the memoir genre, such a goal seemed off-point. After all, a memoir is a first-person introspect account of the author’s life experience. However, over the years, by reading an ever-widening selection of memoirs, I have grown to respect the desire to contain all aspects of one’s life journey into the form of a story. Stories of parents run the gamut. earlier lives. 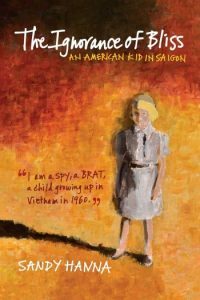 Cherry Blossoms in Twilight by Yaeko Sugama-Weldon and Linda E. Austin captures the first person account of Linda Austin’s mother growing up in pre-war Japan. Andrew X. Pham in Eaves of Heaven tells the story, through his father’s eyes, of being caught in the cross fire of north and south during the Vietnam war. Both base their stories on intense interviews and the familiarity of a close personal relationship to get inside the perspective of the main character. Linda Joy Myers, a thought-leader in the memoir movement wrote a whole memoir Song of the Plains, about her sometimes frustrating effort to see inside her ancestors’ points of view. Her story is a tale of reminiscences, speculation, interviews, and research. Other authors such as Miranda Seymour, author of Thrumpton Hall and Alexandra Styron, author of Reading my Father dig into the archival records their father’s left behind, sprinkled with a smattering of the author’s own early memories. Alex’s Wake by Martin Goldsmith chronicles the author’s maddening search in Europe to trace the tragic journey his uncle and grandfather made on the ill fated St. Louis when they tried and failed to escape Nazi persecution. Barack Obama shared his insights into the African origins of his father (and by extension other African Americans) in Dreams of Our Fathers . And author Helene Cooper did the same in her memoir of growing up in Liberia, in House on Sugar Beach. This desire to understand ancestors arises as a natural extension of the same curiosity that drives one to know one’s own story. And so when I come across another example of a child’s attempt to chronicle a parent, I accept it as an honorable and welcome contribution to the memoir literature. Even if such stories are not always able to go inside the protagonist’s inner perspectives, these authors do their best to learn how their ancestor’s history contributed to the author’s psychological evolution. The latest example of this drive to find a parent’s life is Farewell Aleppo: My Father, My People, and Their Long Journey Home by Claudette Sutton. A young girl knows her parents come from Syria but she doesn’t know what that means. And the stories she hears from various members are so complicated with various surprising twists and turns, with brothers who move from country to country, and return or don’t return to Syria. As a young woman, she has little hope of being able to sort it out into a coherent story. Were her grandparents really from Syria? Most of the Jews she meets have ancestors from Europe. Her own family’s stories of middle eastern Jewish communities seem unreal. As she matures and has kids of her own, she begins to wonder how she can learn more. Eventually she begins to ask questions and gather information. Through interviews and research she constructs the story of her father’s clan. In gathering her father’s stories, she uncovers amazing features of twentieth century history, including some fascinating insights that are rarely known or discussed in our popular culture. into the cultural cross roads and sanctuary city. In addition to the existence of a large Syrian Jewish community, her father’s story provides insights into the existence of a substantial Jewish community in Shanghai, which swelled during World War II, with Jews looking for safe haven from the Nazis. In Claudette Sutton’s story, we can’t go deep into her father’s emotions as a young man. And yet, even without his internal voice, we can feel the thrill and nervous tension of watching the historic events of the Japanese invasion of Shanghai, and other profound events that shaped the journey of this international group of souls who had been wandering for two millennia, looking for a safe home. Typically a memoir is about the journey of an individual, and the narrative takes us deeply inside the author’s own point of view. 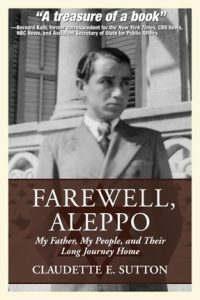 Even though Farewell to Aleppo does not sit firmly within the point of view of either author or protagonist, it nevertheless offers a brilliant insightful story of the life of an ancestor. This form at the intersection of personal history and memoir brings alive the journeys of recent ancestors, supplying the author and her family with important information about their heritage and offering the rest of us a vibrant, personal view of the events of recent history. What were your parents doing before you were born? Write down a few stories from family lore. If parents or other older relatives are still alive, ask questions to try to flesh in this folklore and develop the scenes and emotions that will turn them into stories. I recently read two smartly-written memoirs that traced their author’s search for spiritual truths. Despite the fact that the two authors grew up in different religions, their paths were remarkably similar to each other. And as it happens, their journeys were remarkably similar to my own. A Mormon, Mennonite and a Jew. When we reached our teen years, we began to view our parents’ religion more as a bond that connected families than a source of Truth. For answers to the deeper questions of human existence, all three switched allegiance, and viewed school as a place of worship. But as we attempted to become adults, we ran into problems. While books could feed our intellect, our souls were starving. Eventually we couldn’t tolerate the pain. Something had to give. And so, each one of us was led to love and spirituality. The parallels and differences in our journeys provide three very different examples of how to find a relationship with a loving God, feeling guided by rules without feeling diminished by them. Martha Beck’s first memoir Expecting Adam leads readers on the author’s escape from Utah, the home of the Mormon church to Harvard grad school, arguably the Vatican of the Enlightenment. After she becomes pregnant, she learns her fetus has the genetic code for Down’s Syndrome. Her Harvard colleagues assume the only smart choice is to terminate the pregnancy, leading her to a crisis at the intersection of love and science. She chooses love. But even though she is ready to reject Harvard, she is not yet willing to give up on her religion. Martha Beck’s second memoir, Leaving the Saints takes place in Utah, where she returned to reclaim her faith and community. Over time she comes to believe that inclusion into her religious community demands intellectual dishonesty. After much soul searching she abandons her religion, turning instead to a belief in spirituality. Martha Beck’s two memoirs synergize, each adding depth and wonder to the other. And yet each is a good read on its own. In Rhoda Janzen’s first memoir, Mennonite in a Little Black Dress, a New York Times bestseller, she moves from her intellectually stimulating life in California to her laid back hometown in Michigan. Instead of hating her Midwestern town, she seems grateful for its simplicity. It turns out that even for a smart PhD, there is plenty of food for thought among the common people. The simple premise of “Returning Home,” (or Nostoi as they call it in Greek) drives this lovely story of self re-discovery. In her second memoir Mennonite Meets Mr. Right, Janzen falls in love with a religious guy, not a restrained and proper Mennonite but a Pentecostal, the most intelligent but least intellectual guy she ever expected to love. She goes to church with him where she finds parishioners celebrating a joyous personal relationship with God. The book brilliantly teases apart the paradoxes between intellect, spirituality and religion. Rhoda Janzen’s two memoirs, like Martha Beck’s, are each beautiful in their own right, and even better together. I listened to the audio versions, narrated by the author. With Janzen’s quirky, expressive voice and inventive use of language, she hosted one of my all-time favorite book listening experiences. The third of this trio is my own memoir Thinking My Way to the End of the World, about my journey to the edge of sanity to find a belief system. In my teens, I lost interest in my Jewish upbringing. Growing into my intellectual birthright as a well-educated citizen of the Enlightenment, I thought that humans were completely crazy to have invented such an annoying unprovable concept as God. As far as I was concerned, calculus and physics were sufficient to solve all my problems. During that crucial time in my life, when I should have been preparing for adulthood, I felt increasingly empty and confused. Maintaining absolute adherence to scientific thinking, I desperately searched for a belief system. Without one, I thought my mind would implode. When the pain became too great to bear, my intellectual rigidity burst and I discovered that the only way to stay sane was to allow in a spiritual dimension. In later years, when I looked back at my search for truth, I wondered how I would ever be able to describe my terrifying journey. But without any coherent language to explain my internal struggle, I could barely make sense of it myself. In the early 21st century, what at first looked like a modest, inconsequential shift in book-buying tastes turned into what I call the Memoir Revolution. In this new wave, writing classes offer instruction and bestseller lists provide social context to help anyone turn disjointed memories into a story. That social permission to repackage my life into a story ushered me into a rewarding creative project, and plugged me into one of the most upbeat cultural movements of our time. To immerse myself in the “Revolution,” I read hundreds of memoirs. From each one, I learned that it is possible to tell the story of one’s deepest hopes and fears. Among my growing library of human experience, I began to notice other authors who also struggled to find authentic beliefs. For example, Dani Shapiro searched among wisdom traditions in Devotion. Deborah Feldman broke free from the micromanagement and misogyny of her Hasidic sect in Unorthodox. Nuns escaped the suffocating religiosity of their orders in order to find themselves, in The Spiral Staircase by Karen Armstrong and An Unquenchable Thirst by Mary Johnson. And two mothers whose loss of a baby almost drove them crazy until they found spirituality: Lorraine Ash in Life Touches Life and Sukey Forbes in Angel in my Pocket. These and other hints of spirituality showed me that memoirs are allowing us to expose our inner worlds. My understanding of the power of this literary medium jumped up a notch when I discovered the two fabulous stories by Martha Beck and Rhoda Janzen. Like me, they devoted their precious life energy to find an authentic faith. I finally accepted I had found a real memoir subgenre, in which the search for a belief system was the central theme. These three authors, Beck, Janzen, and I, agonized over our connection to family, broke free of those traditions in order to connect with the secular power of rationality, and then when that still wasn’t enough, had to agonize again. For each of us, losing our faith in the sacred truths of rationality was every bit as wrenching as losing a religion. The three memoirs end up in three different versions of the modern system of beliefs known as spirituality in which love provides the foundation for everything. Historically we’ve expected religious leaders to dictate our relationship to a higher power. But in the great dispersal of autonomy in Western society, we continue to evolve from the authority of institutions to the wisdom of individuals. Each of us wants to know these truths on our own. And to learn those truths, we go on a journey. Memoirs enable us to share those journeys. In high school literature classes I learned that it is possible for an author to encapsulate a whole world in the written narrative. I inhabited those brilliantly conceived fictitious worlds for a few hours. When I closed each book, I slid back into my own hidden inner world. The Memoir Revolution is ushering in a new era that will help readers and authors solve some of the most profound problems of our times. Memoirs help us accept people who think and live differently from ourselves. These stories across the lifespan help us understand our own and each other’s stages of life. And they dive into the paradox of knowledge which, from a scientific viewpoint is unprovable and yet from a personal viewpoint is undeniably knowable. The Memoir Revolution offers us a new instrument through which we can observe our own and each other’s inner worlds and find the common ground that unites us in our individuality. This is far more than just a literary movement. It introduces the potential for a new science of the soul. What spiritual or “belief system” features of your life are ending up in your published or work-in-progress memoir?